As of yesterday, it's officially Fall, which I'm having a hard time wrapping my head around. The summer just flew by and here we are, one week shy of October (and one month shy of my 30th birthday!). 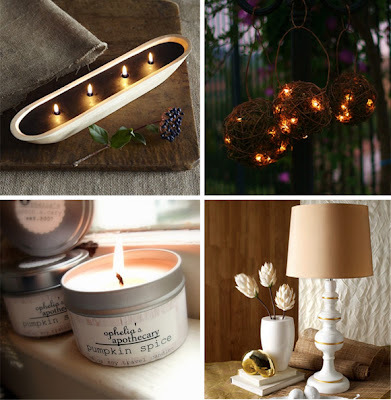 As we ease into fall, I thought it would be fun to share simple and affordable ways to incorporate the new season into your decor, without going overboard with super "themed" fall decorations. What reminds you of fall? 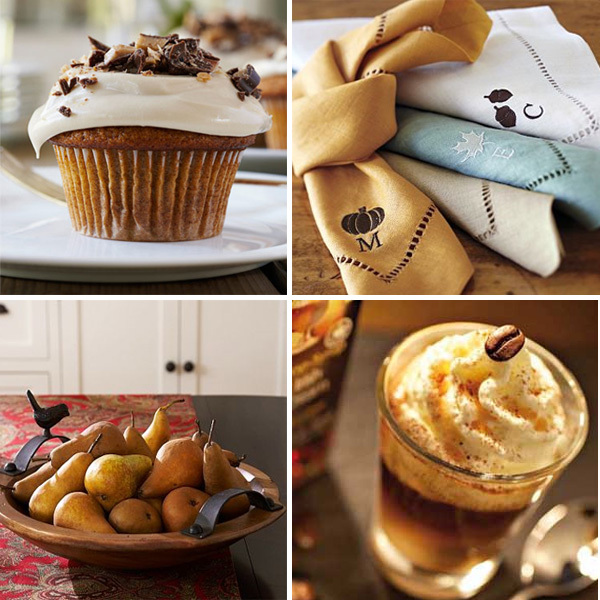 How do you incorporate the new season into your home? Thank you, as always, for sharing your thoughts and ideas! scented candle or dimmed lighting. color to your table with linens and a simple centerpiece. few accent pillows in neutral or warm fall colors. 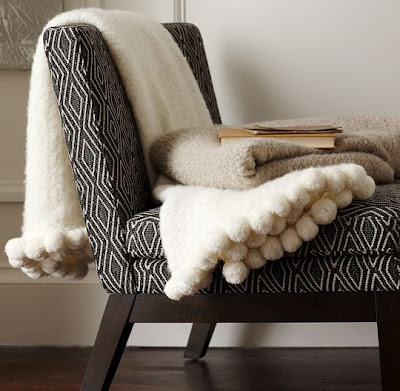 From Top: (1) pom pom throw via west elm (yes please!!! ); (2) patch lumbar monogram pillow via pottery barn; (3) love wool throw + pillow and (4) birds on a wire pillow (both will be available via modern chic home soon - email me if you need more info!). i really like that pompom throw from west elm! as for me, i tend to lean towards changing around the color palette a bit. right now, i very much need new curtains, i've painted the living room and the color needs to change...so here's looking...;) hope you enjoyed your time with your mom! happy weekend julie. Loving the black and white graphic chair with the big fluffy white blanket...want to wrap up in it and read a book! Love the whole idea of this! Especially the cupcakes, of course. I am dying to try a recipe for pumpkin pancakes I just saw. Fall is the best. 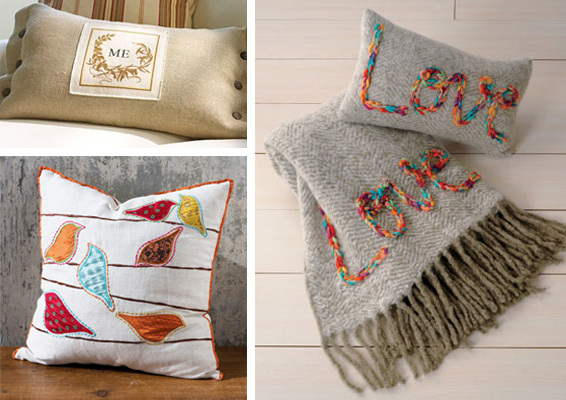 I love all of these finds... and that pom pom throw looks heavenly!